Filtering of email for malicious or just annoying spam email is something of a balancing act between trying to quash it all and letting everything legitimate through unimpeded. Best to err slightly on the side of caution which may allow a minimum of light spam though. We’ve recently been refining the filter settings on our email service so as to minimise the impact this annoying aspect of having an email address brings. We’re not going to go into specifics here, for obvious reasons, but users of our email service might like to have an overview of how we handle spam and virus laden messages, preventing them getting into your inbox. This is not a single process but a series of individual checks using a variety of different techniques and web services to validate incoming email as legitimate, clean and not from someone trying to sell you all manner of things (some mentionable, some not) that you don’t want. Worst still phishing spam attempts to trick you into providing details that could be used to impact you financially or compromise your on-line security in some way. We scan incoming emails with attachments for viruses. Our virus signatures are regularly automatically updated so as to be as current as possible. If an email attachment is detected as having a virus the message and attachment are deleted. However, the email address of the sender and subject line are noted and a short notice message forwarded on to the intended recipient. The reason that we do this is that a known contact may be inadvertently forwarding a document with a virus or their computer might be infected, adding viruses to outgoing email attachments. If you receive one of these messages (currently they’re titled ‘Virus found’) but don’t recognise the sender then ignore and, if you wish, delete this advisory email. If you do know the sender then you can contact them and let them know that they need to look into the issue at their end. Another threat is spam, unsolicited email either selling or advertising a product or, even worse, phishing emails that attempt to deceive you into following links to an official looking website that then asks you to disclose sensitive information such as an on-line banking log-on. Our email server performs a series of tests on each email to verify the validity of the sending server, check up to date lists of offending email servers and run a series of tests for spam including characteristics within the message itself. Additionally we have recently introduced a check on the geographical source of origin. All of these tests result in a score, the score is totalled and if this exceeds our pre-set threshold the email is categorised as spam and diverted into a special folder on your mailbox entitled ‘Spam’. There is a higher threshold where we are confident that the email is certainly spam, these messages are simply deleted outright, no further questions asked. Please understand that any spam or virus detection is working against a moving target, some spam will get through and possibly an occasional email with an attachment with a virus payload. The protection we provide as standard is just a first line of defence. We recommend the use of anti-virus software on all PCs and servers within your organisation. These should be configured to download regular automatic updates to the virus signatures that they use to ensure that the protection you receive is as current as possible. We recommend using commercial software rather than free-ware which can come loaded with additional functionality that you might not necessarily require. We have used ESET security software on our PCs and servers for many years and are very happy with the protection it provides whilst being as unobtrusive as possible. A sensible approach is called for when reading your email. If you encounter an email from someone you don’t recognise, don’t open any attachments at the very least. Don’t click on any links within the email or allow the display of images. Most email clients prevent the display of images without explicit authority from the user. A simple image can be used, by the detection of it loading, to identify that the recipient with the email address the message was sent to as having opened the email. “So what!” you might think, well, you’ve just confirmed your email address is a valid one to the sender. On its own worth nothing but combined with thousands of others (these are sent by automated bots) it has a financial worth as a list of recently confirmed genuine recipients. These lists are sold to spammers to send you more of what you really don’t want. 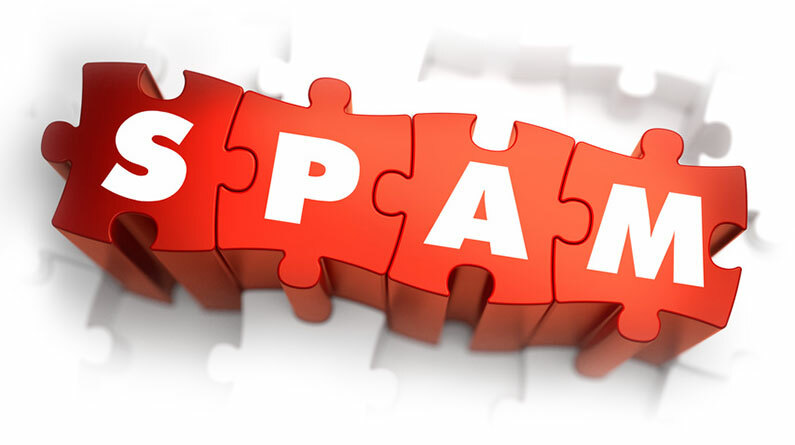 It is estimated that between half and three quarters of global email traffic is spam! However, recently it has been reported that the level of spam in reducing. Hooray!